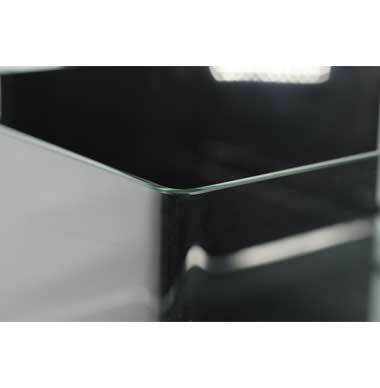 This rimless frag tank has a seamless glass front that provides a beautiful panoramic view of your aquarium. 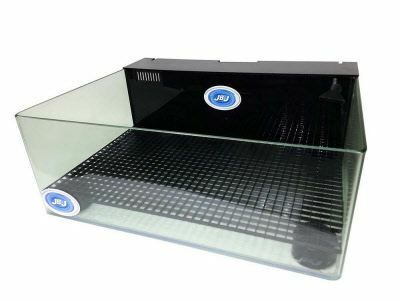 It comes with egg crate and feet for growing corals, and it has a lower return nozzle to maximize top viewing. A submersible pump and media sponge are also included in this order. Corals will love this tank.